As the English football league season comes to an end with the FA cup, attentions shift to the most coveted football competition stipulated in Russia, we take a look at England and their preparation for the showpiece. The three lions qualified for the world cup after seeing out an unbeaten round of games in their qualifiers. Southgate recently released his 23-man list in preparation for the world cup with a host of Manchester united players like Marcus Rashford, Jesse Lingard, Phil Jones, Ashley Young as well as Garry Cahill for Chelsea all making the cut. The FA cup final was a litmus test for this players to showcase their talents and possibly cement a starting berth at the world cup but the players failed to rise up to the challenge. Phil Jones struggled to make up for his earlier mistake in the finals. He’s wrong calculation gifted Hazard the chance to race on goal and the Englishman brought the Belgian inside the 18 yard box, although this mistake was predicted by some people good at Football Predictions. He was lucky to remain in the pitch after the challenge on the Hazard with referee showing only yellow card. Ashley Young was unable to win most of his physical duels against Victor Moses an attacker converted to wing-back and almost gave away a penalty with a handball in the second interval. Rashford no doubt give an abysmal display yesterday. The attacker lost most of his duels against Marcos Alonso, gave away the ball on countless of occasions as a result of selfish ambition. His match woes was summed up by missing a clear cut chance where he was expected to at least hit the target before being substituted. Lingard was quiet throughout yesterday as the Chelsea defense shut him out. The Englishman stuffed out of space as his deployment in an unfamiliar number 9 role backfired and he was later removed. Cahill had a brilliant game yesterday with his side winning the trophy but the onus of defensive work was carried out by teammates Azpilicueta and Rudiger with Cahill as the central defender. 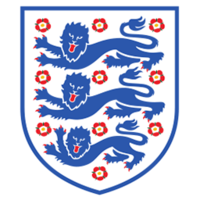 As the possibility of the players in making a starting berth at the world cup remain unknown at the moment considering the players selected by Southgate, the consistency of English players have been a subject of debate lately. In the center forward position, Vardy and Kane could be said to be in form but much can’t be said about Rashford and Welbeck. The decision to go with only 2 recognized defensive midfielder while dropping Wilshere and Shelvey is a decision that could hunt the three lions in the world as an injury to either Henderson or Dier will leave the team open at the middle of the park. While Fabian Delph remains flexible as a football, his inexperience and unfamiliarity in the role will still play-out. The issue of leadership and experience in the world cup is likely to come up in the back four as neither Maguire or Stones has those skills in them. Garry Southgate will need to field Cahill in-other to get a balanced defense. Butland will certainly get a nod in goal ahead of Pickford and Pope. Garry Southgate might have made his selections based on statistics, form and performance from the previous football season but his dropping of experienced players is a decision that could backfire in the world cup. World cup have always lifted by teams with the right blend of youth and experience in all the position. England’s squad lack the experience required to lift the laurel which the last lifted in 1966. England is expected to progress to round of 16 after being put in the same group with Belgium, Panama and Tunisia but not much can be said from then on. Only time will tell.